When your President asked me for a title for this talk and I came up with ‘Producing 5,842 hymns’, I wondered if you thought there was another Charles Wesley in your midst without your ever having known it! Let me assure you there is not. I make no pretensions to the gifts of a Wesley or any other hymn writer, for that matter. The word ‘producing’, as I am sure you have guessed by now, refers to radio production; the 5842 is far from precise; it could be more and it could be less. 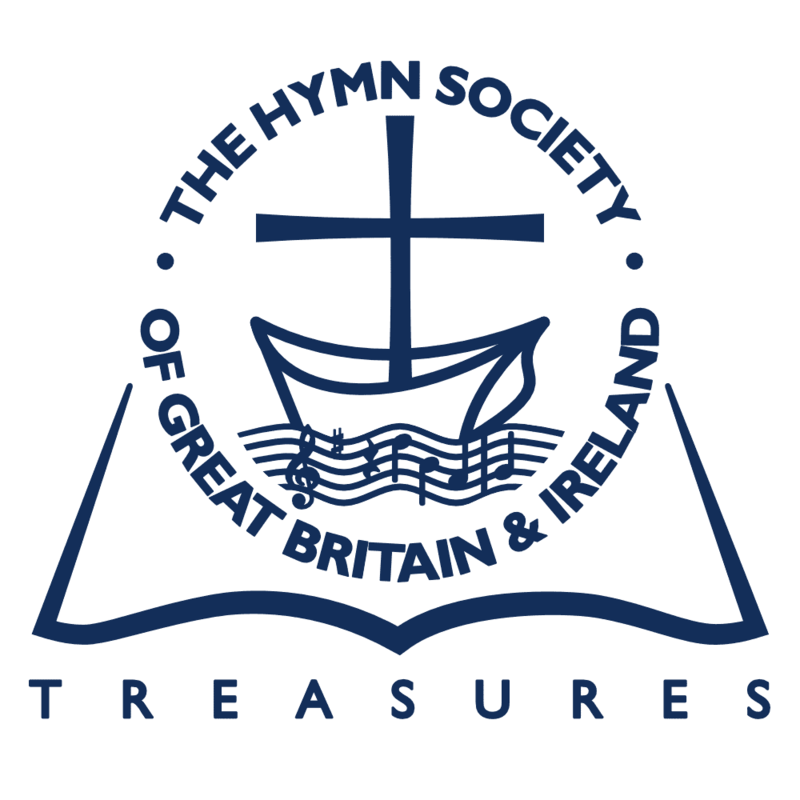 It was a very rough estimate of the number of hymns in programmes I have produced in just over 25 years working for the Religious Broadcasting Department of the BBC in Belfast. Hymns for Radio Ulster’s Morning Service and Radio 4’s Sunday Worship and Daily Service. Hymns for Radio 2’s Sunday Half Hour and for Choral Evensong on Radio 3. Hymns sung in great cathedrals to the accompaniment of mighty organs and in small plain buildings to the sound of an electronic instrument showing its age but determined to go down fighting (particularly with the person playing it). Hymns sung by most Christian denominations; on rare occasions by congregations of a thousand plus singers; more usually in the 200, 300 range; sometimes dropping as low as 40 or 50. I’m tempted to say, ‘You name it, I’ve produced it’ but prudence forbids, for with this audience, there is every chance of your naming a hymn I have never heard of, let alone produced. At this point, you might wonder: Well what is there to producing a hymn for broadcasting? Actually, I think there is quite a lot to it and getting it right is very important. I cannot be certain just what makes people tune into programmes where hymns are sung. There is a common perception that the BBC broadcasts worship primarily for those unable to get to church, and I suppose there is something in that. Mind you, I do try to discourage those who are conducting worship from giving a special welcome to those who are old, sick and housebound (the usual formula) for if I were sick, old or housebound, then I should dislike being singled out for particular attention. But I know from anecdotal evidence that those who listen to Morning Service or Sunday Worship cannot all be fitted neatly into any of these categories. The audience for Sunday Worship on BBC Radio 4 is a staggering 1.5 million. On BBC Radio Ulster we regularly have something in the region of 70 to 80 thousand people, which is just about double what it was when I started to work for the BBC. The cynic, I suppose, would attribute this to an ageing population. But I have no doubt that hymns and sacred music are an attraction for many of those who do listen. Producing hymns is not just a matter of getting the people to stand up and get on with it. In fact, getting them to stand up is often the first problem. For in many congregations and parishes the sequence is as follows; the organ starts to play the introduction, the choir stands up and just as the organ finishes, the congregation starts to struggle to its feet with the result that the people are ready to start singing half way through the second line of the hymn! To say they give the impression of eagerness would be wide of the mark. So we practise standing up together as soon as the music begins and then they start singing together as well. At this point the minister, priest or rector usually expresses the hope that they will do so every Sunday from now on, but I do not tell him that the hope is a forlorn one. But generally the first sing through on a Sunday morning before we go on air displays a participation rate of about 65-70%. It is amazing the number of people who have facial expressions indicating ‘I’ve never sung in my life and if this boy from the BBC thinks…’ So they get the lecture which essentially tells them that when people at home hear the first hymn, that’s when they’ll form an impression of the sort of church we’re visiting and if they think the majority of the congregation is less than enthusiastic, then the audience will soon become less than enthusiastic as well. So they are told they mightn’t enjoy coming to church, especially if the hour of the broadcast is earlier than what they’re used to, but they’re going to sound as if they do. It usually, but not invariably works. But I always make an exception for the person who has the second worst voice in the world. The second worst, because I have the worst, or so a colleague of mine who is much more musically versed than I am assures me. She is even blunter, and tells me I simply cannot sing and there’s little hope for me now. It also helps if they look as if they believe what they are singing. Presbyterians, for example, tend to think the worship of God is a pretty solemn, not to say serious, business. So when they sing ‘Praise my soul the King of Heaven…who like me his praise should sing’, they often sing it with faces that look as if they have just received the worst of bad news and that nothing more terrible could ever happen to them. And it can sound like that. So you actually have to try to get them to smile. One of the complaints I have heard over the years about editions of Songs of Praise from Northern Ireland is that, while the singing is usually good, on many occasions there is not a smile to be seen. Which seems to bear out the remark that people going to church look as if they are on the way to the dentists and when they come out of church they look as if they have been. And then the words! It is fairly obvious that if I know the words of a hymn my brain can probably supply them, irrespective of what sound I am hearing. But if it is unfamiliar to me, then I am completely dependent on what I am hearing, and if this is only an odd snatched word in an indefinable sea of sound, then I am in trouble. Now I suspect that, as a rule, singers or choirs give less attention and devote less preparation to the words than to the music, which is only fair I suppose, except when the words are all but neglected. But the words should not be neglected, especially as the words which the singers are familiar with may not be the ones that are actually used in the book. Sometimes I rely on memory, and find myself uttering words different from those used by all the others, who are following the book religiously. But diction is the one area where I can occasionally come into conflict with the highly competent sound engineers of the BBC. For I am often saying, ‘Move the mike closer, I can’t hear the words.’ So they move it about 6 inches or whatever the equivalent is in centimetres. And I still cannot hear the words. Further appeals to move the mike nearer are usually met with the complaint, ‘But we’ll lose the atmosphere of the Church’ or, even more threateningly, ‘You’ll start to hear individual voices.’ And that leads me on to what is perhaps the biggest challenge of all, The Voice. Every parish and congregation, and not a few choirs have The Voice and if you are particularly unlucky, maybe two or (and at this point retirement seems a desirable option) three. The Voice is usually, but not inevitably female. It always manages to get itself directly in front of the microphone. It is not necessarily a bad voice. It can be true and tuneful with full, rich tones but has become so used to singing solo in the local choral society that over the years the possibility of singing with anything less than full volume has somehow disappeared. I dread it when a choir director sidles up to me before the rehearsal and says, ‘Bert, I have to warn you…’ For I know what is coming and, what is worse, he or she seems to think I carry the solution round in my brief case. So what am I to do? I am very conscious that I am not working with a professional choir. I am aware that the person with the voice may have been singing in that choir for 40 or 50 years and it has become a huge part of his or her life. I have no desire to single someone out and cause embarrassment. I am also conscious that I am a bird of passage, present for less than two days and I do not want to leave a trail of destruction! And I know that I am working in a Christian church. I sometimes remark that one of the similarities between the two organisations I know best, the BBC and the Church, is that both can be cockpits of pettiness and whispering, although disputes within the Church are usually particularly bad. But because it is a Church I do not believe that people should be made to feel small. I am afraid there is rather too much of that in many churches to begin with. Usually if one gently says to the person, without commenting on the quality of their singing, ‘Your voice is quite dominant, could you just sing a wee bit more quietly,’ the message is received and acted upon, until they come to the last verse of their favourite hymn and all restraint is cast aside! Or you can try telling the altos or sopranos: ‘That’s very good, but maybe some of you are just making a bit too much effort, a wee bit more gently perhaps.’ That is usually met with knowing smiles and it sometimes works. For the real problem is that radio totally exposes musical faults. I remember donkey’s years ago going to Evensong in Devon. The choir was made up of six children and seven or eight adults who could have been the kids’ grandparents or possibly even their great grandparents. The sound was not great, but when I looked at them and saw the earnest concentration on their faces, I thought, ‘You know, that’s not too bad at all’. Had I simply heard them on the radio, I fear my conclusion might have been radically different. So, I always say to choirmasters, ‘Do the simple thing superbly. It’s better than doing the difficult thing less than well.’ For you can be sure that if the choir does not quite reach that difficult top note in the descant to the last verse of the hymn, that is the single note the audience will remember, not the others that were sung perfectly. If The Voice can be something of a challenge, so can the organist. The architectural arrangement of some churches means that the organ is placed directly in front of the main microphone for choir and congregation with the result that when the singing starts you get about 70% organ to 30% singing. Short of re-ordering the building, the only option is to start negotiating with the organist and you do know the difference between an organist and a terrorist. ‘But I always play like this’ is the frequent opening gambit. And it is impossible to avoid the impression that some organists are scared to change registration or are incapable of it. The fact is that, generally, on a broadcast we can do with less organ, and most organists will accept this, albeit reluctantly. Most organists, but not all. My worst experience was with one who had the reputation for being, shall we say, somewhat awkward. Anyway, after some fruitless negotiation, he pushed in every draw stop and said, in a voice full of a sense of persecution, ‘Would that satisfy you?’ ‘Fine,’ I said, ‘but the announcement after the service will say ‘The organist was AB but he refused to play.’ He resigned the following week. As I said, I have been working for the BBC for just over 25 years and when I was asked to speak to you, I thought it might be of some interest to compare and contrast what was being sung when I started with what is being sung now, not only to give some idea of changing patterns and tastes, but also because I have a very strong personal interest in liturgy. So I took myself down to the bowels of Broadcasting House in Belfast and asked if they could dig out for me the PasBs for Morning Service for a year from June 1984. PasB? With the BBC’s great fondness for acronyms, PasB stands for Programme as broadcast and, theoretically at least, there should be one for every programme broadcast since the Corporation came into being. But not in this case. Despite searches in various places, the relevant papers never turned up, which means that there will probably be an email waiting to the effect that they were found yesterday. Alas, too late. So I decided I would confine myself to looking at the hymns sung on BBC Radio Ulster Morning Service over the eighteen months from January 2008 until June 2009. I disregarded the six or seven acts of worship which, for various reasons, we broadcast from the studio each year, and looked, briefly, at nearly seventy outside broadcasts, nine or ten of which were also transmitted as Sunday Worship on BBC Radio 4. The bulk of the services were from Roman Catholic, Church of Ireland and Presbyterian venues, but they included a range of other denominations. I counted only hymns and songs sung, or intended to be sung by the congregations, including the choir where there was one. Over the eighteen months, 183 hymns were used, of which 43 were sung more than once and, when all the repetitions are included, this gives a total of 255 items of singing. 23 hymns were used twice and 15, three times. Two hymns: ‘God is here as we his people meet to offer praise and prayer’ and ‘To God be the Glory, great things he has done’ were each used four times. Two were used five times – and I am very tempted to ask for your guesses. Well, ‘The Lord’s my shepherd’ was one (although not always to the same tune) and the other, ‘Thine be the Glory’, or, if you must, ‘Glory to Jesus Risen Conquering Son’. The period under review did include two Easter seasons. But the winner was ‘In Christ alone my hope is found’ by Keith Getty and Stuart Townend, sung no fewer than six times, which I admit is too frequent but it probably reflects the fact that it has been described as the most popular worship song ever. And personally, I think it is a fine hymn to a fine tune although I do have a serious reservation about the fifth and sixth lines of the second verse where the death of Christ is described as satisfying the wrath of God. Part of the reason for its frequent use may of course be that Keith Getty grew up a Presbyterian in Lisburn, about 30 miles from Armagh and continues to have a high public presence in the North of Ireland. I then looked at when the 183 hymns were written, and I am referring to the words only. 85 hymns (that is 46.5 %) were written before 1900, the bulk coming from the 18th and 19th centuries. 14 (nearly 8%) came from the first 60 years of the 20th century. No fewer than 66 (36%) have been written since 1960. And if the more numerate among you have already calculated that that does not add up to 100%, then there were 15 hymns, about whose date, even with the aid of Bishop Darling’s excellent Companion to the Church Hymnal, I could not be certain, although I suspect the majority would be post 1960. At this point, I rather suspect that a health warning is necessary to the effect that this is far from being a scientific survey. The hymns chosen for broadcast services may not, for various reasons, be altogether typical of what is sung every Sunday. So I should be reluctant to draw any strong conclusions; impressions, yes; conclusions, no. The 66 post-1960 items represent a considerable variety in style and approach. Bishop Timothy Dudley Smith and Graham Kendrick are both well represented. Most of the items are, in fact, traditional in format. Eight of them might more accurately be called choruses and there are a number of worship songs. I am not entirely sure what makes a worship song as opposed to a hymn. Sometimes I think that if I feel comfortable singing (or in my case attempting to sing) something, I consider it a hymn. If I feel less than comfortable, then it’s a song! The number of post 1960 items makes it clear, if evidence were needed, that there has been something of a hymn explosion. It is obvious that, had I managed to retrieve the data from the 1980’s, it would show that there are a great many more contemporary items being sung. Indeed, much of the material used had not even been written in 1984-85! And, while the older hymn has certainly not disappeared, the proportion used has inevitably diminished. Now I did not have the opportunity to analyse every service minutely, but it did seem clear that while the proportion of contemporary material varied considerably from service to service, there were some services where either all the items sung were traditional or all were contemporary. And when the latter happens, I can be sure there will be letters from some irate listeners complaining about the lack of proper hymns, but there are few letters when every hymn is old. My impression is that most worshippers are relatively happy with a mixture of the old and the new. Of course there are those who are unhappy at singing anything written after 1899 just as there are those who are dismissive of everything written before the 1960’s. About fifteen years ago I produced a service where everything sung was contemporary, few of them traditional in form. It was obvious that choir and congregation were less than comfortable. I casually asked the minister if they never used older hymns. His response ‘They’ll just have to get used to it’. And there was another service where there was a praise band with associated singers alongside a choir singing a Charles Wood anthem. The atmosphere was cuttable with a knife and the praise band walked out in order to pray for guidance as to whether they should continue with the enterprise. But I fancy that worship wars, while certainly not unknown, have eased somewhat in intensity. I suspect that the excitement of having so much new material has eased, that there is recognition of the value of many older hymns and that the protagonists on each side of the debate have become rather more tolerant and display more of the Christian values of love and patience and self control, that were not always evident earlier. One other thing that emerges from looking at the items sung over the past eighteen months is the virtual disappearance of the metrical psalm– or at least the metrical psalm from the 1650 Scottish Psalter, as revised by the Irish Presbyterian Church in 1880. Yes, there were a number of hymns based on the psalms but apart from ‘The Lord’s my shepherd’ and ‘All people that on earth do dwell’, neither of them the exclusive preserve of Presbyterians, there were no traditional metrical psalms, so long considered a distinctive feature of Presbyterian worship. Again, in 1984, nearly every Presbyterian service would have had a metrical psalm, so it looks as if they have been squeezed out, and that is the general impression I would also have from attending and conducting worship. Personally, I rather regret this, and the main reason for the regret is not simply the disappearance of what has been part of the Presbyterian liturgical heritage, since it must be admitted that metrical Psalms are not always things of beauty. It is more a matter of losing the psalms, in whatever form they are used, from worship, if not totally, then to a great extent. And part of the reason, I suspect, for I certainly can’t prove this empirically, is that large parts of them are that bit raw, dealing with the sort of emotions that can cause embarrassment or even theological difficulty, the sort of emotion that some saccharine songs carefully avoid. The words of the great defender of Christian orthodoxy in the 4th century, St. Athanasius, are still important: ‘the Psalter is a book that includes the whole life of man, all conditions of the mind and all movements of thought’. I might mention in passing the practice of the Reformed Presbyterian Church, one of Ireland’s smaller denominations with about 3000 members. They are sometimes known as Covenanters, which suggests their Scots antecedents. What is distinctive about their worship is that they sing metrical psalms only, without accompaniment, like some of the smaller Scottish Presbyterian churches. They have broadened their repertoire from the 1650 Psalter but what has struck me when I have produced one of their services (there were none in the period I have been looking at) is that you get a congregation of all ages from eight to eighty singing their psalms tunefully and enthusiastically in four part harmony. And I look around and I think, ‘this shouldn’t be happening, teenagers singing 350 year old words to very four square tunes’. But it is, and I appreciate that there are sociological reasons for the commitment of their singing as well as theological ones. I also detect sometimes a desire to play safe where the choice of hymns is concerned. This may arise from the fact that the service is being broadcast, but my other experiences of worship would indicate a sort of reluctance to sing some modern hymns which may be unusual in their imagery or challenging in what they say. And it is true that, so far as some choirs and organists are concerned, the fact they do not know a hymn means that they will never be prepared to learn it. There can be a sort of musical conservatism which restricts a fuller exploration of the riches of hymnody. This brings me to what is probably the other main change I have noted over my time in the BBC and that is the decline, in many churches, of the choir. Twenty-five years ago I could be sure of a fair number of churches where there were good choirs, capable of singing quite challenging anthems or settings of the canticles and giving a strong lead to the congregation in the singing of the hymns. This is simply no longer the case. Oh, the choirs are still there in many of the places but they are considerably smaller and the members are all 25 years older, with few apparent replacements for those no longer able to sing. The sad thing in some cases is that they are still trying to do the sort of thing they were attempting 25 years ago, but now with very different results. Apart from, I think, four cathedrals and a few parish churches which have made a big effort to maintain the tradition, boy choristers seem to have largely disappeared in Northern Ireland. You can trace the decline in the choir by looking at photographs in choir vestries, seeing the reduction in numbers and the increase in average age. Not, I should say, that the picture is all bad! For example, Nigel McClintock, who conducted the Hymn Festival at the Conference, has done a wonderful job in developing the Schola (who also shared in the Festival) in St Peter’s Catholic Cathedral in Belfast. He has had huge support from the Cathedral authorities and, in particular, its Administrator, Father Hugh Kennedy. Not everyone would agree that this decline has necessarily been a bad thing. In some clerical quarters there has been a strong anti-choir movement. So far as I can gather, this seems to arise from a perception that choirs had developed too high an opinion of themselves and could actually damage congregational singing and some clergy seem to have developed what can only be called an irrational hatred of four part harmony. So there has been, in some places at least, a conscious attempt to downgrade the choir or to get rid of it altogether. Now I would have to acknowledge that I have worked in one or two places where the organist and choir master had taken on all the attributes of the despot and saw the broadcast and perhaps every service simply as an opportunity to show case the excellence of the choir, which is far from ideal. There is a church I know which, eight or nine years ago, had a reasonable choir. No longer! The minister told me they were actually getting in the way of worship and so had to go. And what has replaced them? A praise band and three soloists, none of them particularly talented, with microphones. When I began producing, accompaniment other than by the organ was unusual, although you might have found an occasional trumpet or flute or piano. And then, suddenly, as if from nowhere emerged the praise band, or as it was known rather more pretentiously in some places, the orchestra. Its first manifestations were at times frankly embarrassing with children who had only recently started to learn the clarinet, violin or flute, stuttering their way through the melody. Sound engineers In the BBC generally pride themselves on getting a fine music balance. So they would arrive with a microphone for every instrument and get ready to work their magic. And, almost inevitably, they would pull back the clarinet mike, because it was a quite a bit out of tune, and then the flute mike and then the strings mike and we would often conclude, ‘let’s just get them on the main mike and some of the indiscretions will be lost in the wash’. Hard perhaps, but it is the point I made earlier, that radio exposes weaknesses. The young clarinet player may have been playing the instrument for only six months: that cannot be clarified across the air waves. To be very fair, I would have to say there has been a vast improvement in the standard of playing in bands or orchestras. And where there is a competent musical director who is capable of finding or providing arrangements appropriate for the forces at his or her disposal, the result can be quite pleasing. But hymns, I would argue, are there primarily to be sung. And when you get complicated introductions, and bridges between verses leaving the congregation uncertain of when to come in, there is a danger of forgetting that. Sometimes I detect a desire to show off the musical abilities of the instrumentalists. I was preaching one evening in a Church of Ireland Cathedral which boasts a rather good praise band. At one point its leader put his hand up and the congregation stopped singing while the band played through the verse and chorus on its own. And I imagined the reaction if an organist did that, and had played a verse on the organ. He or she might have been in danger of being lynched. Discuss! Presbyterian ministers have a reputation, not entirely undeserved, I fear, of being unable to stop when they have finished. Well, I have nearly finished and am about to stop. For 25 years I have been producing hymns for the BBC and I have enjoyed it and will continue to enjoy it. It has been enriching and at times, frustrating. It has certainly broadened my knowledge and experience of the vast amount of hymnody to be quarried for use in the worship of God. It has also increased and broadened my experience of human nature. I have seen considerable change in what is sung and how it is sung and accompanied. That change will continue and it is right that it should do so, so that the people of God may continue to give Him the praise that is due unto His Name. Bert Tosh is Senior Producer of Religious Programmes, BBC Northern Ireland.